Pope Benedict’s resignation can be viewed as a positive development for Catholics seeking church reform. Even those who disagree with many of Benedict’s theological views and actions, readily recognize and praise his essential goodness as a virtuous person. Benedict has served Christ long and faithfully with years of hard and difficult work. He deserves his accolades. Benedict’s unprecedented announcement is in itself an edifying teaching act that will leave its mark in history. The pope stresses the primacy of conscience in determining his decision. Prayer guided his exercise of prudence. 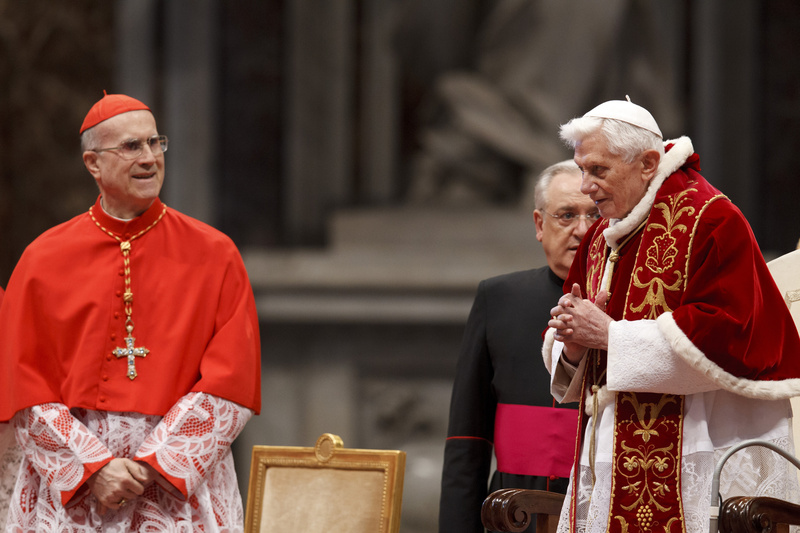 Benedict’s authentic humility is revealed when he asks “pardon for his defects” and gives thanks his brothers for their “love and work.” He shows an ecumenical spirit when he refers to “the Petrine ministry” as a “spiritual work” serving the Supreme Pastor, Jesus Christ. The pope must truly serve and never cling to power and status. It is also a progressive moment when Benedict states that his service in the papal office can be usefully evaluated in its effectiveness. Evangelical criticism of leaders is validated. Moreover, in the unprecedented act of resigning the pope accepts that his term of office should have a limit. Term limits and the election of leaders are key requirements for collegial participation and church reform. Would that women and the laity would be taking part in the coming election. Yet Vatican II reformers can take heart. The pope’s act of conscience reminds us once again that God is a God of surprises. "The pope stresses the primacy of conscience in determining his decision." Please! This man has done everything he can to dismiss the primacy of conscience unless it coincides with the predetermined "truths" of the Church. I'm truely sad that Pope Benedict is stepping down. How fast almost eight years have passed since his election as Pontificate, after the sad days -but full of the Holy Spirit- that followed the death of John Paul II. God bless him. I can only imagine what a difficult decision it must have been for Benedict XVI to resign, but he more than anybody understands the brutal challenges the Church is facing in the very near future that demand a healthy and younger man. Let's pray hard this Lent that Christ and Mary give the Church a young and vibrant Peter ready to kick some sense into a maniac world. Not least among the challanges are the designed wars, such as the one bitterly fought in Syria which, as time passes, reminds me ever more of Spain before WWII. I don't think the proxy war in Syria will limit the bloodshed to that victim country. And while we're on the topic of leadership, many "progressive" Catholics should question if their beloved political leaders are not guiding us all into a hellhole. You know, the same leaders that prey on the issue of firearms while killing many more children with their drones and psychopathic wars overseas.